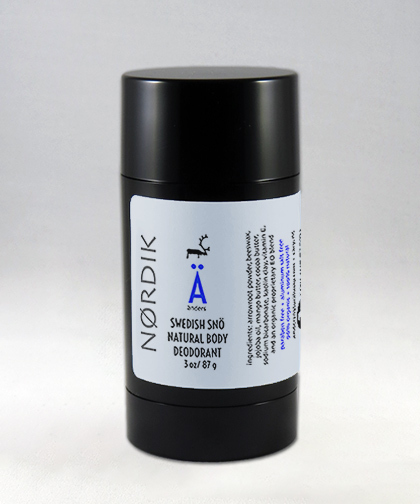 Our Swedish Snö “all natural deodorant” is a great compliment to our Nørdik line of products. We created this deodorant as a compliment to all the other Swedish Snö products: Soap, Hand & Body Moisturizers, and Spä Candles. The scent of this deodorant exudes freshness. Very very popular! A proprietary blend of (10) different organic essential oils. Formulated by a New England EO formulation firm.